I'm currently undergoing the biggest change in my life. I have seen how easy it is to make money from what you know without having to work under anyone and it has rekindled my childhood dream of creating things that are entirely new. It has given me back my childhood curiosity and tech obsession. Now that I no longer worry about my income there is no longer anything hindering me from trying out all the technologies I find fascinating and learning to build the things I have always wanted to build. I am pulling back from conducting Excel training and spending more time on creative projects for companies and big individual clients. I have put up all my Excel training videos on YouTube with the practice files to be accessed freely by anyone. I want to work more on projects that stretch my comfort zone and force me to learn new things. Making the most money now is not my personal or business goal. My goal is to be extremely knowledgeable in the technological fields that interest me: Business Intelligence/Analysis, Web Applications and Big Data. 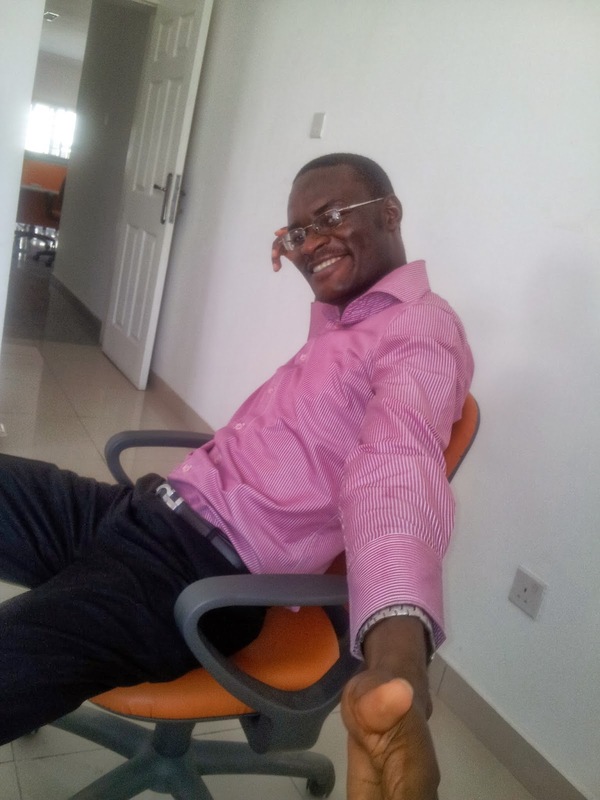 I'm beginning to earn more than while at my day job but I have not been able to save any Naira. I keep piling everything back into my business. 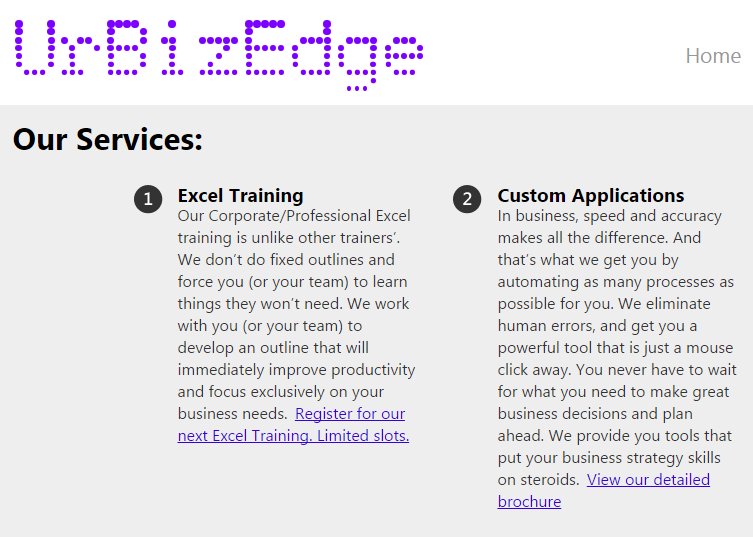 I have 3 business domains: www.urbizedge.com, www.exceltraininginlagos.com and www.exceltraininginnigeria.com I spend a lot on my company materials, be it promotional or training material. My training certificates, training pen, training notepads and training material costs more than most other Excel trainers'. A big part of the high fee I charge for my training goes back into providing excellent materials and a great training experience for my training participants. But my biggest expense has been books. I have been buying lots of books on all that interest me and learning all that could positively impact the services I render. For me, the future is more about being a very productive expert in my chosen business and technology field. I want my work and clients to speak for me. I don't want to have to do any promotional campaign or hire a PR to get most of my customers. I want to take the hard road of building a solid reputation of high quality and excellent results for my clients. To write books or magazine articles that will help people and businesses, and prove my high competence. To do things at a competitive global competence level. I have no worry about making money. If I am now making money from the knowledge and expertise I gathered part-time while working a demanding day job then I am sure that I will make much more money with the knowledge I am painstakingly gathering full-time now. I view my future not in terms of how much money I will have in the bank but how much value I can create and charge high for.